When you have a recipe that calls for beer, and you want or need to leave it out, you have quite a few options. If you've made the recipe in question before, you should be able to gauge whether it can withstand a bit more sodium or sweetness, and you can choose your substitution accordingly. Here are the best and easiest-to-find substitutes for most recipes. You can use chicken broth, ginger ale, white grape juice, or white wine if your recipe calls for light beer. 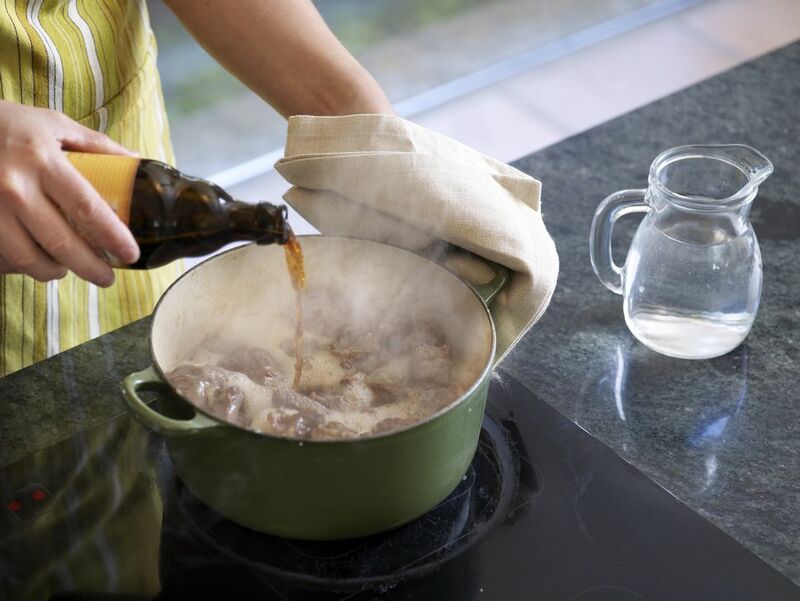 Use beef broth, chicken broth, mushroom stock, apple juice, apple cider, root beer, or coke instead of dark beer. With all of these ingredients, you want to be sure to replace the beer measure for measure to keep the liquid volume the same in your recipe. If the beer is being used to tenderize meat, use a soda substitute (root beer or ginger ale). It'll do the same job and add minimal flavor. Soda will add sweetness, however, unless you choose a sugar-free option, or use plain soda water which is also a good replacement. You should also go with a soda substitute if the beer is in a bread recipe. The recipe probably needs the acidity and/or carbonation to activate the yeast or baking soda that's being used to leaven the dough. Without an ingredient to fill this role, your bread won't rise like it's supposed to. If none of these variables is a factor for you, choose whichever substitute seems like the best flavor match for your recipe. None of these substitutes is a perfect flavor match for beer, but any one of them should still work nicely in your recipe. If you decide to use soda or juice in place of the beer called for in your recipe, expect your dish to be a bit sweeter than it would if beer was used. This is easy enough to remedy with a bit of vinegar or lemon juice. Just taste your recipe and adjust it a splash at a time until you're happy with the results. Using broth as a beer substitute will add a wonderful depth of flavor to your recipe, but it could also add some sodium. Use a sodium-free broth or consider omitting the salt called for in your recipe until you've had a chance to taste the dish. You might find that the broth has added all the salt you need.